Jaenen, Cornelius J.. "Marguerite Bourgeoys". The Canadian Encyclopedia, 28 October 2016, Historica Canada. https://www.thecanadianencyclopedia.ca/en/article/marguerite-bourgeoys. Accessed 23 April 2019. Besides chaperoning girls sent from France as brides for settlers (Filles du Roi), she recruited French and Canadian girls as teachers, organized a boarding school for girls in Montréal, a school for Indigenous girls on the Sulpician reserve of La Montagne, and a domestic arts school. Marguerite Bourgeoys was canonized in 1982 (courtesy Library and Archives Canada/C-12340). Marguerite Bourgeoys, founder of the Congrégation de Notre-Dame de Montréal (b at Troyes, France 17 Apr 1620; d at Montréal, Qué 12 Jan 1700; canonized 31 Oct 1982). In 1640 Marguerite Bourgeoys joined a noncloistered congregation of teachers attached to a Troyes convent directed by the sister of Governor Maisonneuve of Ville-Marie (Montréal). She sailed for Canada in 1653 and in 1658 opened a girls' school in a stable on Montréal Island. Besides chaperoning girls sent from France as brides for settlers (Filles du Roi), she recruited French and Canadian girls as teachers, organized a boarding school for girls in Montréal, a school for Indigenous girls on the Sulpician reserve of La Montagne, and a domestic arts school. Her "sisters" began teaching in rural parishes. She justified their refusal to become cloistered by observing that the Virgin Mary had remained "secular." Bishop Laval refused to permit them to take vows, but his successor Bishop Saint-Vallier invited them to open a school on the Île d'Orléans. 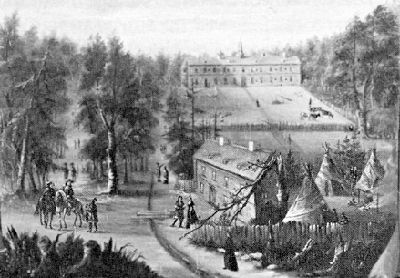 Soon they had a domestic arts school and a primary school in the town of Québec. On 1 July 1698 the secular sisters took simple vows and became a recognized noncloistered religious community. In the same year, Marguerite Bourgeoys began writing her memoirs, in which she deplored some departures from the initial austerity observed in her congregation. She spent her last 2 years in meditation and prayer, already revered as a saint by the colonists when she died. 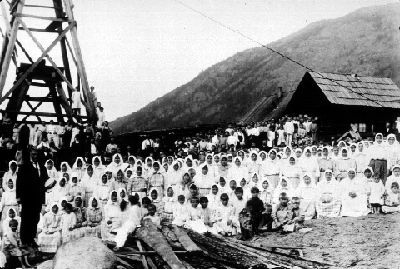 The Sisters of the Congregation of Notre-Dame now number several thousand and have expanded their work to the USA and Japan.